Usually when we think of launching a life of larceny, filled with scams and stings and falsehood, we’re thinking of an elevated effort on the level of Ocean’s 8. But for this caper, we almost have to give this guy props for ingenuity, even though it may land him some jail time. 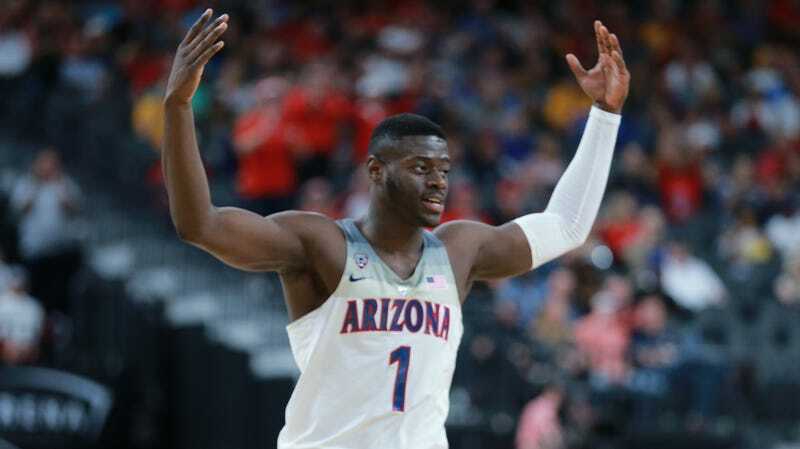 Baraboo News Republic reported last month that an Illinois man—the finance manager at an auto dealership, actually—impersonated a restaurant employee several times, all in an effort to get a cable package at a restaurant so that he could watch his beloved Arizona Wildcats. To get Pac-12 at his probable favorite restaurant Buffalo Phil’s during weekend trips to Lake Delton, Wisconsin, 51-year-old suburban Chicago resident Kevin M. Cayton apparently pretended to be a restaurant employee and called cable company Charter Spectrum a dozen times. The restaurant, naturally, noticed that their monthly cable bill had skyrocketed, and worked with the cable company and the local police to track down recordings of those calls.. The real caper here is how they nabbed the impersonator: On one of the many phone calls, the name “Kevin” can be heard in the background; on another, says Baraboo News Republic, “someone can be overheard purchasing a vehicle in the background.” Tracking Cayton’s social media revealed his weekend trips to Lake Delton. Also, that he’s a huge Wildcats fan. Cayton may have had only the best (but illegal) super-fan intentions, but he may pay a steep price for his alleged crimes: “He’s now facing a possible jail term for felony identity theft for financial gain, and unauthorized use of an entity’s identifying information.” Go Wildcats?